Action Comics #15, featuring the second of four short stories I’m working on for that series, is out today. 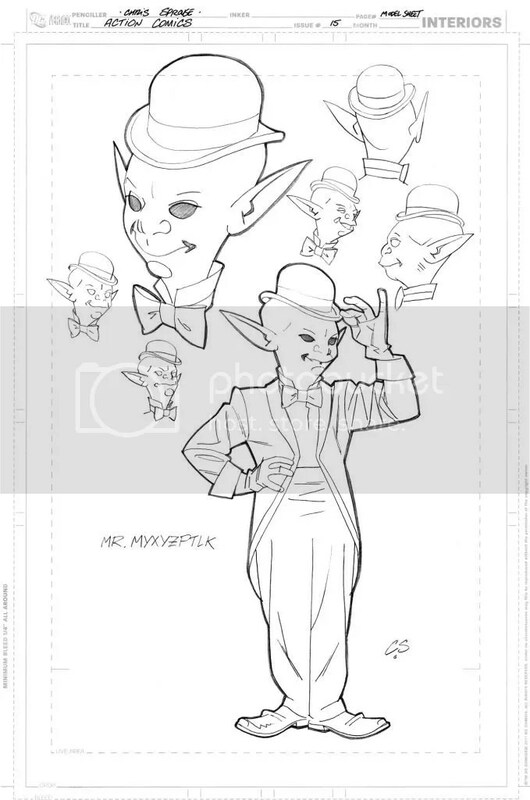 This story (written by Sholly Fisch) introduces the new version of a classic Superman villain, Mr. Mxyzptlk, and takes place mostly in another dimension. I drew the eight-page short in a kind of storybook illustration style, with a healthy dose of Winsor McCay added, suggested by the surreal nature of some of the scenes and scenery. 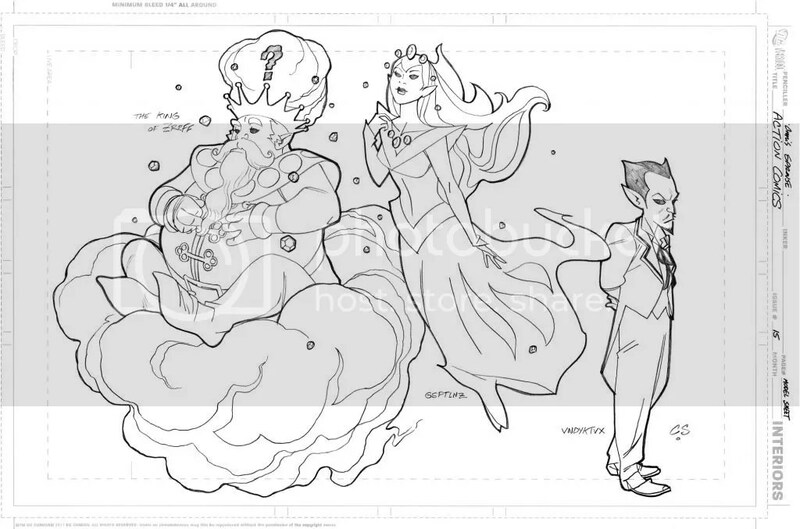 Editor Wil Moss asked me to design the new Mr. Mxyzptlk and his supporting cast, and you can see those finished designs at the top and bottom of this post (a rejected version of the design for the Royal Court can be found on the art sales section of this site). Inker Karl Story and colorist Jordie Bellaire did some amazing work on this one, and I think the finished product looks quite beautiful! Out tomorrow: the first chapter of the DC Digital Legends of the Dark Knight story that I drew. Great job, Chris. Nice design, capturing the classic look but adding a fresh feel.